Purchase this product now and earn 8,274 Reward Points! Essential Daily Defense™ must not be used without a powerful therapeutic mineral rich multiple vitamin. See our Beyond any Multiple (BAM). Everyone knows our diet does not meet our nutritional needs. Over 50% of Americans currently take a Multiple Vitamin Mineral everyday and the nutritional benefits they are receiving are seriously limited because of the need for continuous detoxification from the poisons we ingest daily from water, food and air. Suggested Use: Adults 3 capsules twice daily or as directed by your physician. Store in a cool, dry place away from direct light. 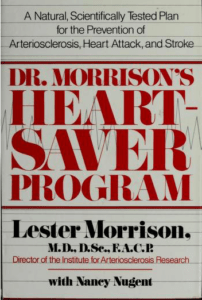 This proprietary formula is based on a combination of 30 years of Dr. Gordon’s work in chelation and Dr. Lester Morrison’s arteriosclerosis research. Formulated to help the body excrete undesirable toxins, heavy metals and lipids, while helping control excessive blood clotting tendencies. Blood clots are believed to cause 85% of the deaths from heart attacks and/or strokes. Essential Daily Defense (EDD) is an extraordinary combination of all natural ingredients that when used by Doctor Gordon in his program has virtually eliminated all heart disease and stroke and lowered the incidence of cancer by over 50 percent. When consumed with his advanced Vitamin C formulas this program provides some answers to this serious chemical concerns we all have in living in our toxic world. G.F.Gordon M.D., D.O. MD (H.) is now teaching that over 400,000 Americans died in the last 12 months as a result of undiagnosed, untreated low level lead toxicity that is present today and everyone hoping to reach their maximum intended useful life span will have to take supplements like EDD. But in getting rid of Lead and Mercury and other metals, we always also lose good minerals like zinc. Since our food has become deficient on many essential nutrients, a powerful multiple like BAM (Beyond Any Multiple) is required every day as well to replenish. Children: Take one capsule per 10 to 15 pounds per day average or as directed by your physician. Adults: Take 6 to 18 capsules per day or as directed by your physician. Individuals receiving medical treatment or taking any prescription medication should consult with their health care practitioner prior to use. Cautions: Do not take if you are pregnant or lactating without physician advice. Storage: Store in a cool dry place away from direct heat or light, keep out of the reach of children . Does not contain: the list is long but includes gluten, yeast, soy, animal or dairy products. No other garlic-based product comes close to the powerful, synergistic combination of natural chelating and detoxification activity of this unique formula. This proprietary formula is based on a combination of 30 years of Dr. Gordon’s work in chelation and Dr. Lester Morrison’s arteriosclerosis research. Formulated to help the body excrete undesirable toxins, heavy metals and lipids, while helping control excessive blood clotting tendencies. Blood clots are believed to cause 85% of the deaths from heart attacks and/or strokes! Essential Daily Defense™ is a powerful chelator that many health professionals now use this formula (in therapeutic levels of 6-18 caps a day) in place of intravenous therapies for most heavy metal toxicities, including lead, mercury, cadmium, etc.Also, the benefits of lowered levels of iron are just beginning to be appreciated, and lower iron levels may partially explain the longer life span of women. Therefore, safe iron chelation with apple acid (malic acid) is a part of this formula. This chelation effect is not strong enough to induce anemia in anyone, but curtails the likelihood of excessive free radical formation. Everyone knows our diet does not meet our nutritional needs. Over 50% of Americans currently take a Multiple Vitamin Mineral everyday and the nutritional benefits they are receiving are seriously limited because of the need for continuous detoxification from the toxins we ingest daily from water, food and air.